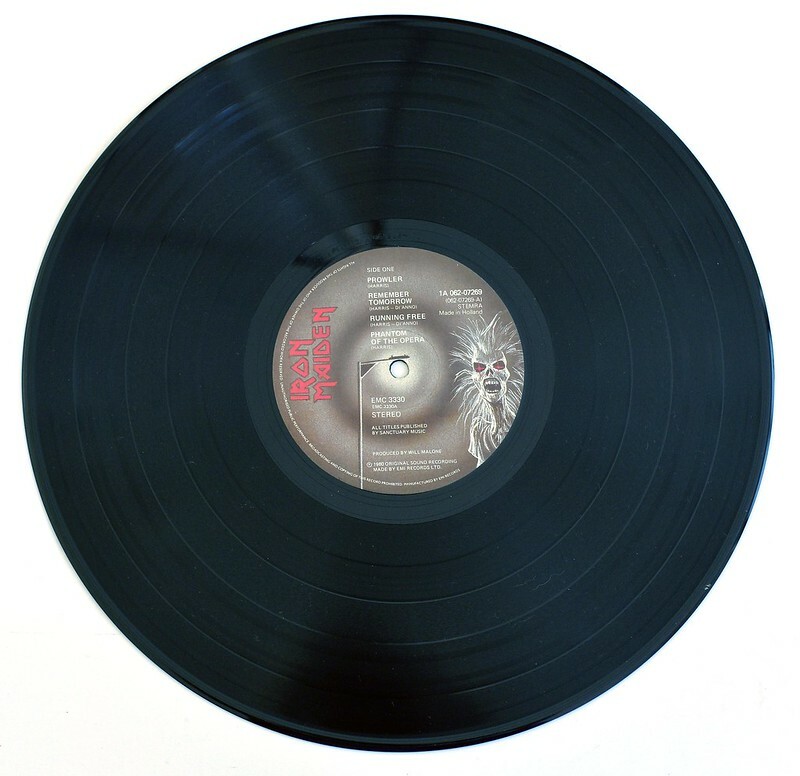 This version has illustrations on the record's label. 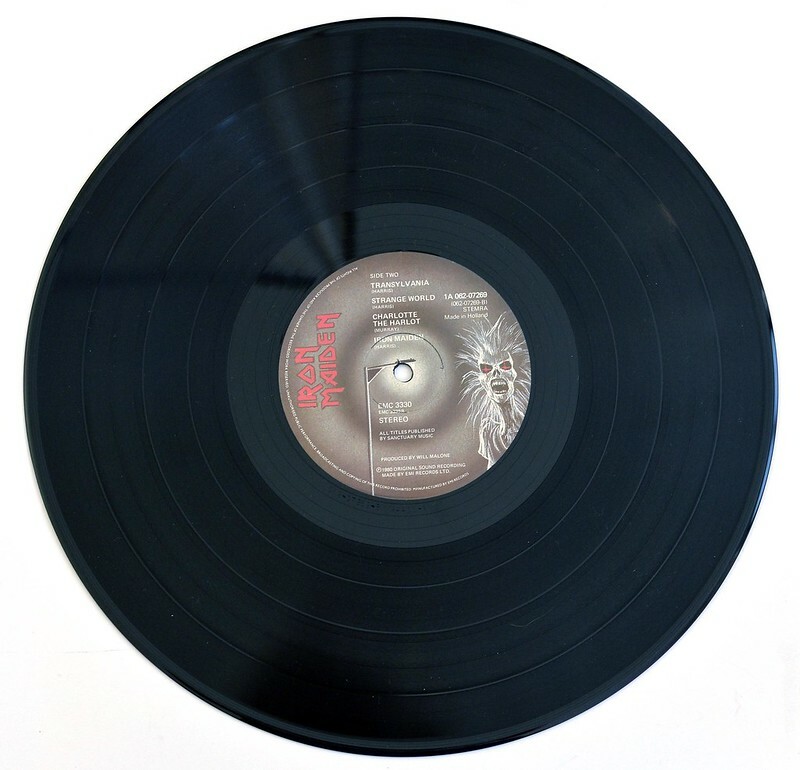 Later versions have a two color EMI logo. 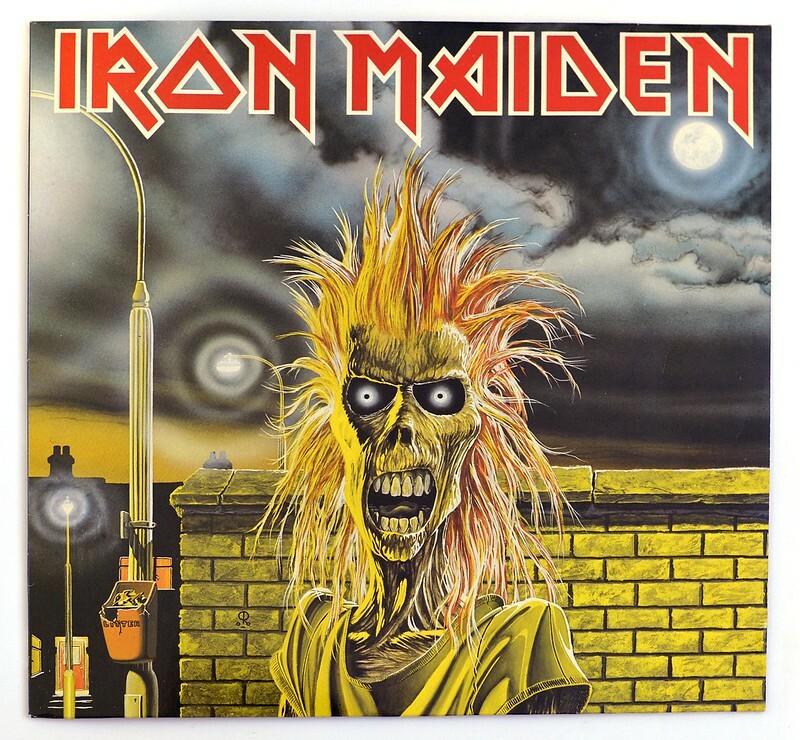 This self-titled album "Iron Maiden", was released on 14 April 1980, and is the debut album by the British heavy metal band Iron Maiden. High Quality Photo of Album Front Cover "IRON MAIDEN - Iron Maiden (Self-Titled) Holland"
Album Back Cover Photo of "IRON MAIDEN - Iron Maiden (Self-Titled) Holland"
Dennis Stratton Guitarist, probable best known for the periods he played with "Iron Maiden" from 1979 until 1980 and "Praying Mantis" from 1990 until 2006. 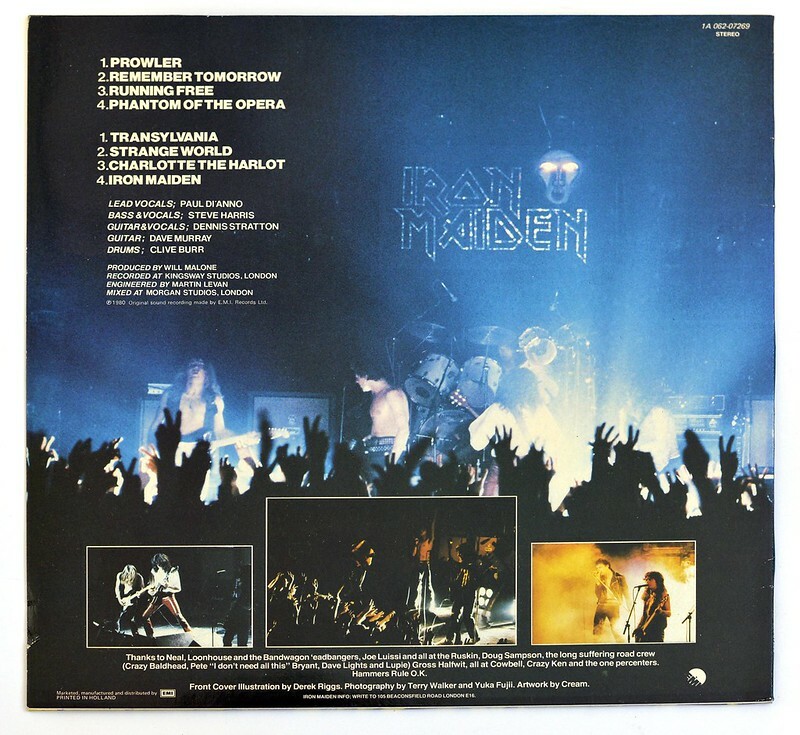 Complete Track-listing of the album "IRON MAIDEN - Iron Maiden (Self-Titled) Holland"